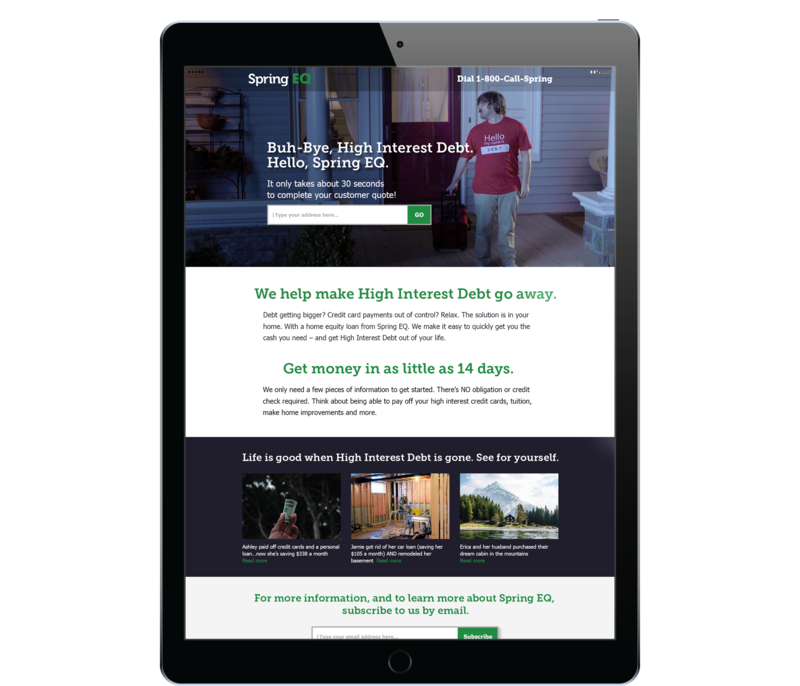 D4 recently created the first campaign for Spring EQ, an innovative provider of Home Equity Loans. This fresh, funny campaign presents Debt as a person – a very annoying person – and features vignettes that show how living with High Interest Debt is definitely not fun. The solution? Contact Spring EQ to help get Debt out of your life. Tactics include :30 and :15 spots, digital ads and landing page.